Our free donation letter template provides an effective tool for groups and individuals seeking donations. Use this tool to take the fear out of fund-raising for a worthy cause. Start asking for donations with confidence! It's very common for people to become nervous and stressed when they know they are responsible for asking others to part with their hard-earned money. Whether the donation request is made face to face, over the phone or in a letter, the stress of asking for donations can be terrifying. An important aspect of achieving your fund-raising goal is making a great first impression. You do not want to be perceived as being pushy or demanding of others, and you need to be prepared to confidently handle the rejection that will occur in some instances. The fact is that someone must do the asking, and in this case that someone is you. So, take on this important responsibility by preparing a message that will inspire people to from their hearts. Charitable organizations would simply not exist if it weren't for the generous contributions of so many individuals and businesses. The good news is that most people and businesses who have money available want to donate to worthy causes that are run well - and by leaders who will make every dollar count. The first step is to get your messaging right. First, make use of our free donation letter template - it's an effective tool that will quickly get you started. 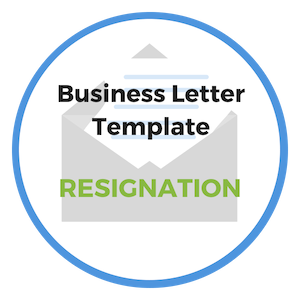 As you work your way through the template your letter will evolve as you read the various questions provided. You will be prompted to add key details about your request. "Fund-raising success depends not so much about the size of donation you are requesting; it's more about how you request it." Once you've completed the donation letter template, ask a trusted friend or adviser to proofread the letter. Ask the reader how the letter makes them feel. Does it make them want to support the cause? Keep in mind that many of the prospective donors are receiving donation request from other charitable organizations, so it's important that your letter stands out above the crowd. 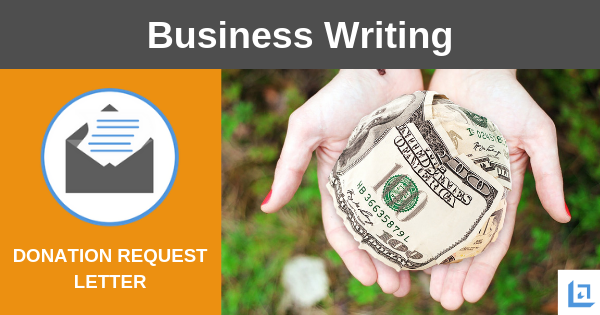 After reading your letter the reader should clearly understand what you are asking for, why the money is needed, how the money will be spent, and how it will help other people in their time of need. Place the recipient at ease and offer to assist by doing the bulk of the work in order to process a donation. Introduce yourself and explain why this cause is important to you personally. Be specific when asking for a contribution. Clearly request what you are going to achieve. Clarify the need and the benefit to others that this donation will provide. Promote trust and rapport. When applicable, offer something in return as a kind gesture - perhaps larger donations receive a special gift or discount. Perhaps you can support a cause of theirs at a later date. Be respectful of the donor's time - keep your request brief. Take 'No' for an answer graciously, then ask if it would be okay to circle back next year. Do not come across as pushy or manipulative. Avoid using feelings of guilt as a tool to persuade. Never apologize for sending a donation request letter. This sends a message that you don't really believe in the effort yourself, so why should they? Make use of our demand letter template and be confident that what you are asking is fair and reasonable. Don't ask for the moon if you know you are speaking to someone with limited funds. On the other hand, asking a large donor for a small amount probably won't motivate them to support your cause. In closing, always make an effort to invite the person to contact you if he or she has any questions. Always be sure to thank the individual for allowing you time to tell your story so that they might continue to consider your request. Make the entire process as painless as possible. Do as much of the legwork as you can. Always make it easy for prospective donors to say yes. 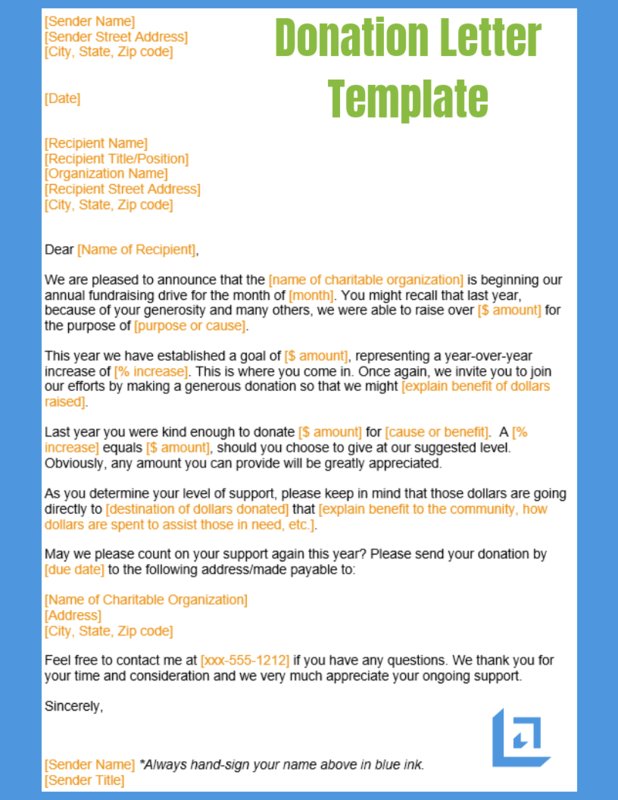 Shown below is an image of our free donation letter template. Use this free template to take the fear out of asking for money. You're raising money for a great cause, right? So, use this tool to highlight all the reasons why supporting this cause is important and worthy of their support. 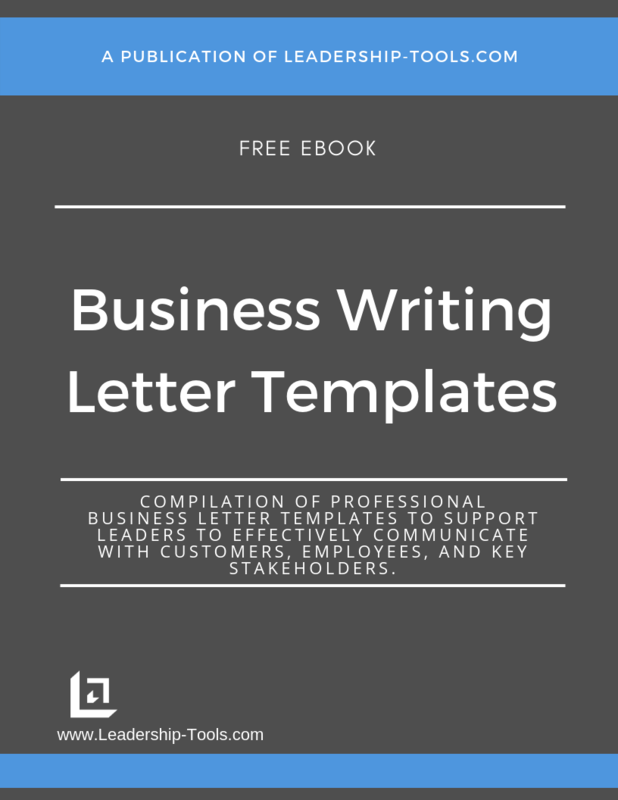 To download our free Business Writing Templates/eBook, complete with the above donation letter template, plus templates for many other topics, simply subscribe to our free newsletter. You will immediately receive a password that grants access to our entire leadership tools library.